Re-appointed Real Madrid boss Zinedine Zidane may be the club’s most successful manager in history but he too must operate according to the club’s policy manual. If it exists, that manual should entail that all managers, Zizou inclusive, must always choose the lineup that serves the club’s sporting interests best. This didn’t happen last Sunday as the three-time European champion fielded a team that was very nearly upended by bottom club Huesca. For instance, Zidane’s son Luca has no business keeping goal for the outgoing European champions. Zidane stands accused of nepotism if he fields Luca and Real fail to get maximum points. Marco Silva’s Toffees are one of the division’s most inconsistent sides. On their day, they can match all comers. This has been evident in recent 2-0 wins over Chelsea and West Ham. But they can also be diabolical – which is why owner Farhad Moshiri’s £300m cash splurge is yet to yield dividends. That said, this month they have home fixtures against Champions League chasing Arsenal and Manchester United. The Toffees will also travel to Spurs in May. The eight-time English champions are therefore in a unique position to determine which teams qualify for Europe’s elite competition. Been studying the remaining fixtures of Tottenham Hotspur, Arsenal, Manchester United and Chelsea; the four clubs vying for two available Champions League slots. Spurs have a clear advantage because Manchester City is the only side likely to take all three points off them. Otherwise, they have four winnable home games against Crystal Palace, Huddersfield, West Ham and Everton. Maximum points from these games puts them in pole position to overhaul Arsenal who have away games at Everton, Wolves, Watford, Leicester City and Burnley. And we all know how dodgy the Gunners are on the road. A Celtic fans’ banner that slammed manager Brendan Rodgers for abandoning “immortality for mediocrity” couldn’t have been so further off the mark. The former Swansea and Liverpool boss has inherited a Foxes side capable to punching their weight among the Top Six. An excellent Three Lions core that includes Harry Maguire, Ben Chillwell, James Madison and Jamie Vardy bodes well for next season. Throw in Belgian playmaker Youri Tielemans and Nigerian midfield workhorse Wilfred Ndidi and you have a team capable of challenging for silverware of some description. They are definitely a more talented lot than the 2016 title winning side. This young squad just needs further tweaking to spread the goal scoring burden and a bit of title winning experience. 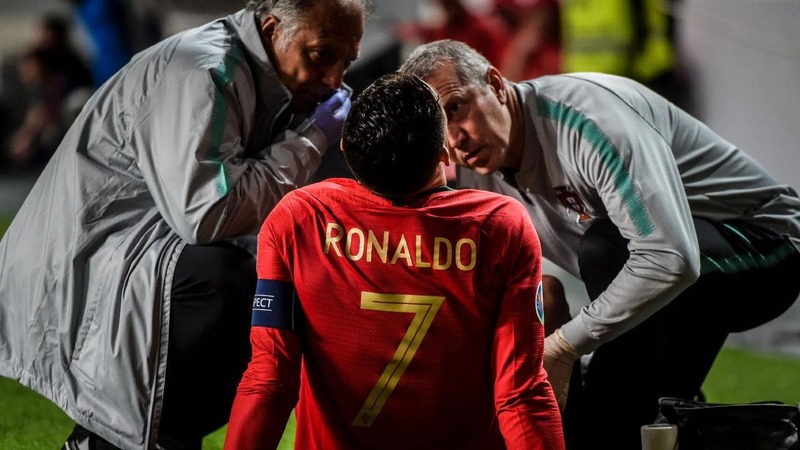 Cristiano Ronaldo’s thigh injury while on duty with Portugal means Juventus are no longer overwhelming favourites to eliminate an Ajax Amsterdam team that has only reached the Champions League knockout phases for the first time in two decades. Without CR7 and injured teammate Paulo Dybala, Juventus were extremely flat in defeating Empoli 1-0. A repeat performance at the Johan Cruyff Arena in Amsterdam will see Frankie de Jong, David Neres, Dusan Tadic and Hakim Ziyech punish the Bianconeri.